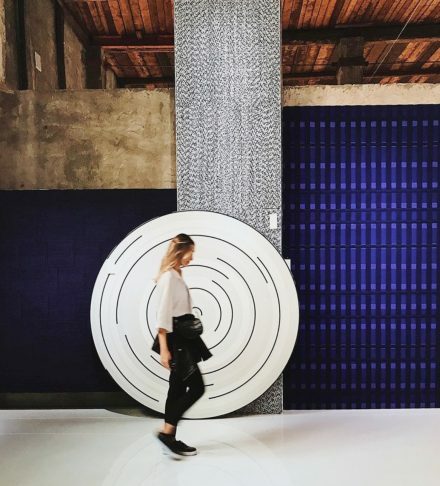 Rugs are used to delineate volume, positive space, or even personal territory; they enable an area to become the expression of an individual’s character and experience. 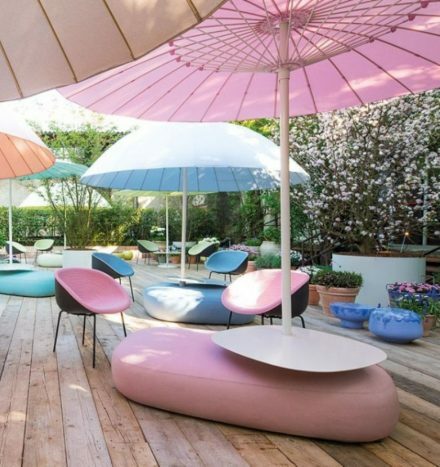 For nearly twenty years, Paola Lenti has interpreted and creatively expressed the importance of this spatial anchor in its range of rugs. 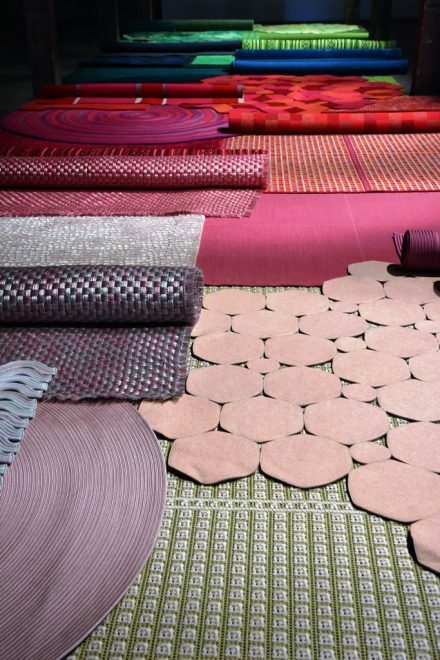 The company has never lost sight of traditional production techniques, like weaving and embroidery, and it combines them with high quality raw materials. 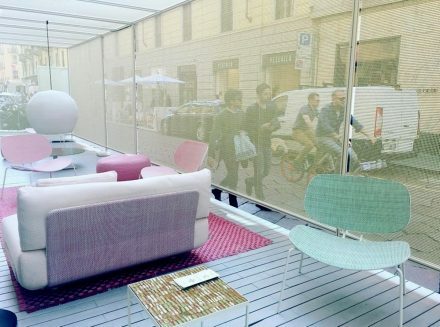 Paola Lenti’s latest proposal presented in the industrial spaces of Fabbrica Orobia 15, Milan, featured a series of architectures arranged like theatrical scenes to tell intuitions, innovations and products, of today and yesterday, in a continuous dialogue between color, matter and form. 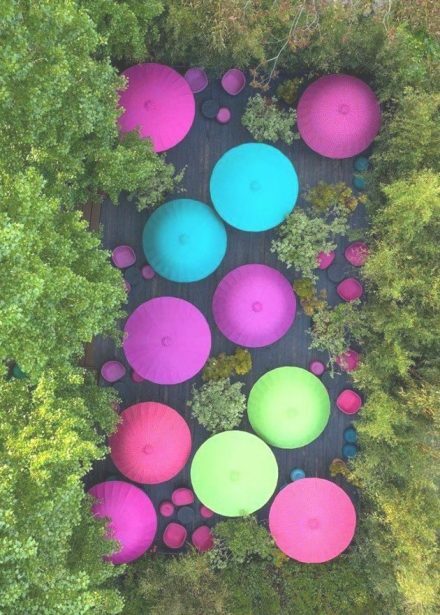 Once again, the amazingly creative sparkle of Paola Lenti permeates throughout the entire installation proposal – from the furniture products, to the ceramic, metal and fabric installations, to the decorations of the architecture. 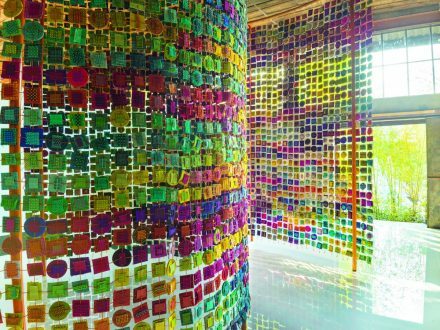 It reveals to the visitors how all the elements interpreting this scenery contribute to the creation of a coherent and balanced wholeness. Essential forms and colour hues become narrations proposing different plots in each room and visualizing the company’s personal idea of contemporary living. 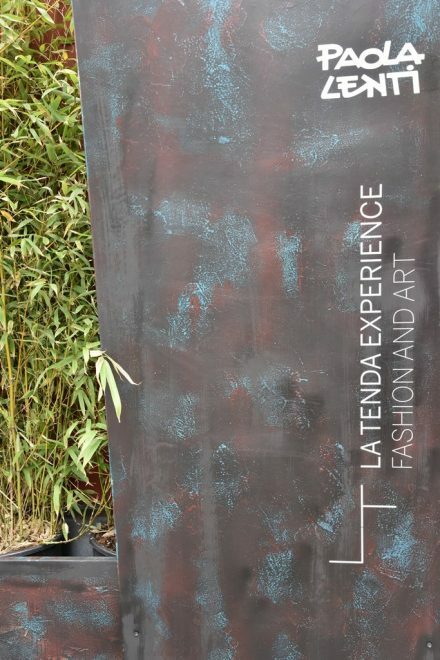 During the 2018 Milan Design Week Paola Lenti again presented her exhibition “ Elementi ” ( Elements ), standing out as if they were theatrical scenarios. 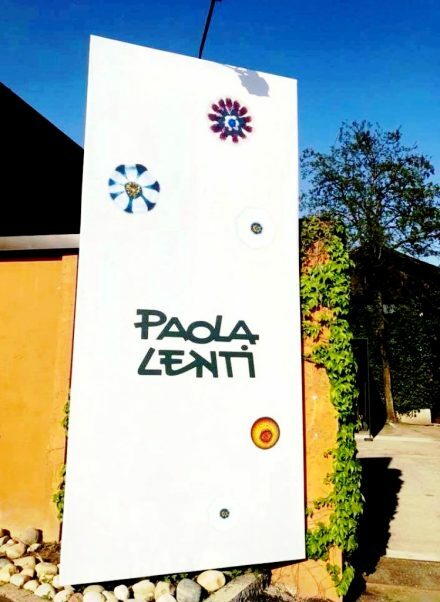 Elementi is the common denominator of the creative interplays and intertwining, which originated through the cooperation betweem Paola Lenti and other important industrial entities. 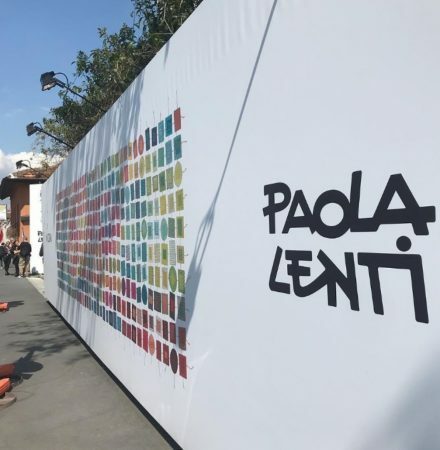 For the International Design Week 2017, La Tenda Milano contributed to the panorama of events and initiatives of the circuit of Fuorisalone, dedicating particular attention to creativity, art and culture not excluding its actual interest in social issues.